After battling back from a two-goal deficit late in the third period, San Jose had to then kill a pair of minor penalties less than six minutes into the first overtime period. 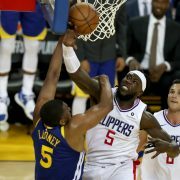 The special teams rose to the occasion, but on this day the comeback was not to be. For the second time in as many games, the Sharks and Golden Knights went to a sudden-death overtime. 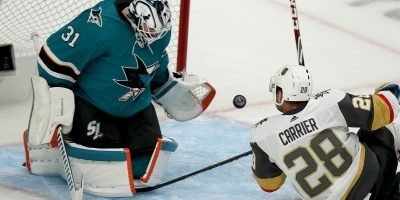 For the second-straight time, the home team left with heads hung low as William Karlsson netted the winner breaking through the neutral zone and zipping a wrister above the right shoulder of Martin Jones, securing Vegas’ 4-3 victory and a 2-1 series lead. The Shark defense had been excellent following a troublesome five-minute stretch midway through the second period. 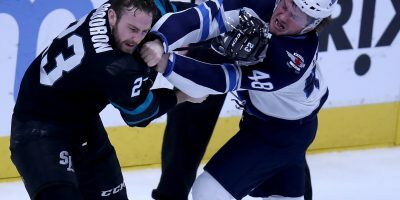 But an apparent miscommunication between Paul Martin and Brent Burns near the defensive blue line left Jones on an island and presented Vegas’ leading scorer with what amounted to a penalty shot chance. 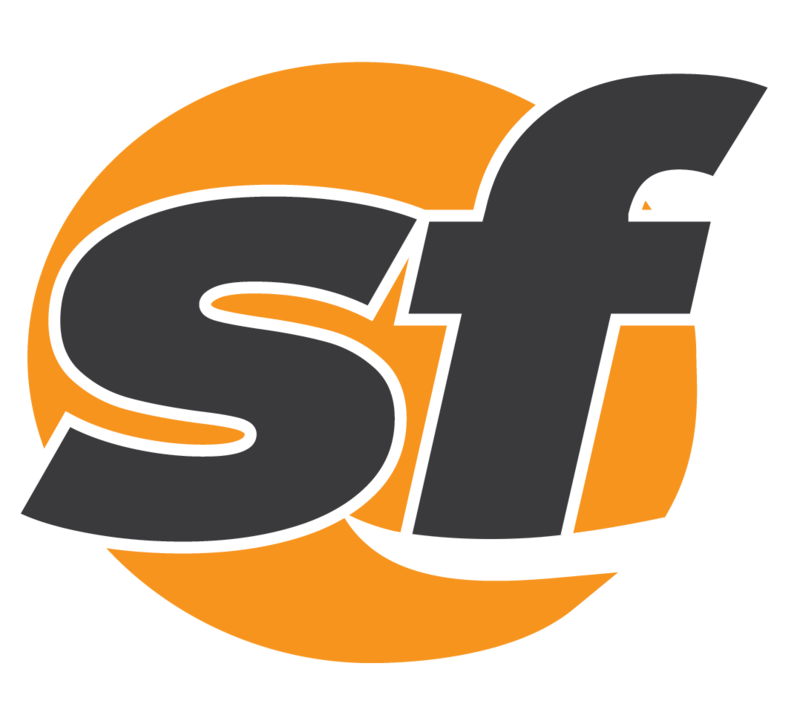 San Jose looked like its round-one self in the first-half of the opening period, making Vegas net-minder Marc-Andre Fleury scramble constantly to record 16 saves in the first 20 minutes. Vegas received the game’s first man-advantage when Mikkel Boedker was penalized for delay-of-game. 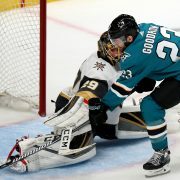 But the Sharks’ penalty-kill unit stood its ground, limiting the Golden Knights to one shot on goal while recording two blocked shots. It was back-and-forth play for the remainder of the first period, but San Jose quickly re-established control of the game early in the second period after receiving back-to-back power plays. The Sharks had a golden opportunity to jump ahead when Kevin Labanc received the puck at the top of the crease following a shot from Logan Couture. But after lifting the puck past Fleury, Labanc would be denied by the skate of Vegas defenseman Brayden McNabb sending the puck wide of the net. San Jose finally did open the scoring seven minutes into the second period while on the man-advantage. Chris Tierney received the puck at the left face-off circle after another Boedker shot was blocked, sending it to the other end of the slot to Timo Meier who beat Fleury glove-side. 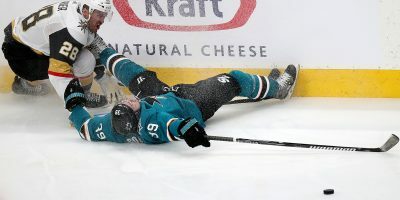 Vegas would go on to terrorize Jones for the rest of the period, tallying three unanswered goals and executing as they did in Game 1’s 7-0 ravaging of the Sharks. 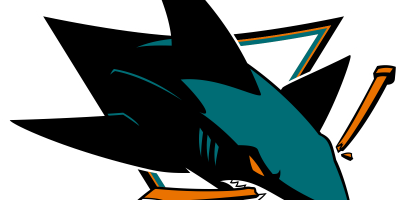 Just when the Sharks looked as if they would be blown out again, Evander Kane cut Vegas’ lead to 3-2 seconds after a San Jose powerplay expired. Burns found Kane at the right face-off circle, and the sharp-shooting winger zipped a rocket above Fleury’s left shoulder. 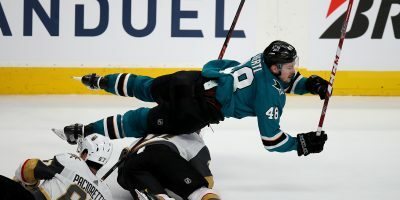 With just under two minutes remaining in regulation, Tomas Hertl carried the puck as he muscled his way into the crease of the Vegas net forcing the OT and Karlsson’s continued success. The Sharks will look to even things up once again as the series remains in San Jose for Game 4 Wednesday.